Harris Oberlander, LCSW-R, CEO of Trinity Alliance of the Capital Region, Inc., will address the Albany Roundtable on Wednesday, November 12. Albany Roundtable luncheon meetings are held at the National Register-listed University Club, 141 Washington Avenue at Dove Street in Albany, and are open to the public. Trinity Alliance is a multi-purpose social welfare agency that was founded in 1912 and is dedicated to improving the neighborhood as a setting for family life, contributing to health and well-being, and promoting education and employment as a means of self-development. Trinity’s latest project, the Capital South Campus Center (CSCC), is an adult and higher education facility located on the edge of Lincoln Park. Adult learners will be able to use the facility to complete their high school equivalency diploma, participate in English as a Second Language instruction and/or take college level courses offered by a number of area institutions of higher learning. The CSCC will feature an Advanced Technology and Information Networking (ATTAIN) Lab, general classrooms and a Culinary Arts training kitchen which will be operated by Schenectady County Community College. 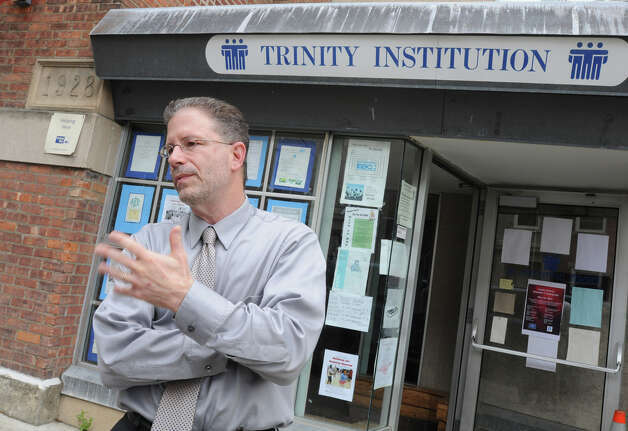 Prior to coming to Trinity in 2004, Mr. Oberlander was the clinical administrator of the 140 bed residential treatment center at the Saint Anne Institute. He worked there for 17 years. He holds his Bachelor’s and Master’s degrees in social work. He has learned, lived and worked in Albany almost continuously since 1977. The cost for the luncheon is $20, which may be paid at the door. The Roundtable also offers its guests the option of paying in advance with a credit card. The University Club will serve a hot and cold buffet from 12:00 noon to 1:00 p.m., with the program commencing at 12:30. Reservations for the November 12 luncheon are required by Monday, November 10 and may be made by prepaying online, by calling 518-431-1400 (the Albany Colonie Regional Chamber of Commerce) or by sending an e-mail to albanyroundtable@yahoo.com.